Welcome to ReAwaken Your Joy Academy! Welcome! I know you have not arrived here by chance. Your seeking and asking have brought you to the perfect place. This is an amazing opportunity for you to ReAwaken Your Joy that may have been eluding you. If you would like more information about our coaching programs, free offers and complimentary consultations, please click any of the links below to view descriptions. Most of the photographs on this website have been taken at my ranch in rural North Texas. Our ranch is a wildlife management area. I hope that you enjoy the photographs of our beautiful natural world! "Mary Ann provides a great knowledge of 'how-to' and product information. Many times I have contacted her with questions related to health and holistic healing. She is positive and trustworthy. I would/will continue to confide in her. Mary Ann is constantly learning and sharing new techniques." 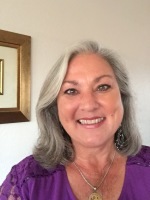 "Mary Ann is an open-minded and nurturing professional who has devoted her life as a mother, friend, and life coach to enlighten and nourish the lives of all she encounters. She has acquired her expertise through both formal education and life experience, an important combination of knowledge in her field. Mary Ann's services are truly one-of-a-kind that any person, in any situation, of any background, can benefit from. I highly recommend Mary Ann's reliable, informative, and effect coaching and consulting."